Back to the Dinner Table. Are you ready? Set manageable goals for yourself. Start with one family dinner per week. You’re going to eat anyway, right? Try to do it with everyone at the table (if that’s not possible, do breakfast or dessert instead!) If one night is too easy, then make it one more than your norm. And pick a conversation starter or two to get a good discussion going at the table. Keep cooking simple. Time is precious, we know, particularly when kids are back in school. Dinner doesn’t have to be fancy and exotic—and often there just isn’t time for that. All of our recipes are easy to make and require only 8 ingredients or fewer. Stock up. Make sure you always have some items on hand that together can add up to a quick meal. We polled some of our followers on social media to ask them what their must-have-on-hand items are and their responses included chick peas, beans (all types but black beans were a particular favorite), pasta, peanut butter, cheese and tuna fish. Here’s a list of more suggestions. Plan, plan and plan. Did we mention that it helps to plan? Whether it’s Saturday morning or Sunday night or anytime that works for your schedule. Try using our weekly planner to get you going. Thinking out your dinners for each week and taking into account everyone’s schedule ahead of time can make a huge difference in reducing stress around family dinner. Forget perfection. Be kind to yourself. We’re all transitioning this time of year. And always remember: The good-enough dinner is good enough. These tips come from our do-it-yourself program, Food, Fun and Conversation: 4 Weeks to Better Family Dinners! What food goes best with this often stressful, back-to-school time of year? Comfort food, of course! 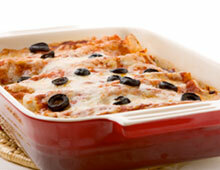 This month’s featured recipe is our easy-cheesy enchiladas dish. It doesn’t get much simpler, delicious and comforting than this, we promise! This game is fun to play, even if you–or your kids–aren’t familiar with the old song that usually accompanies it (bonus points if you are!). Whoever goes first names three or four items. All but one of the items needs to be related in some way. The winner guesses which item does not belong with the rest of the list. 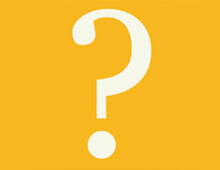 For an even easier variation of this game, check out the Guess the Category game! As our children head back to school, they will meet people who are different from them – people with different backgrounds, traditions, experiences and beliefs. Approaching and talking to people who are different from us offers an incredible opportunity to expand our view of the world. Our conversation starters this month are all about dealing with difference – and exploring qualities such as being open-minded, adaptable and tolerant of others. 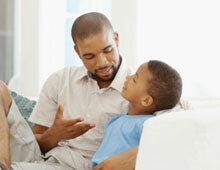 Have you met any new kids since you went back to school (or for younger kids, daycare or preschool)? What do you like about them? How are they different from you? How are they the same? Tell a story of eating over at a friend’s house. How was it different from eating dinner at your house? “A person’s a person no matter how small…” writes Dr. Suess in his classic book Horton Hears a Who. What do you think he means by that? (or if you own the book The Sneetches, read and discuss). What one thing do you do now that you need an adult for but would like to try to do all by yourself? What does it mean to be open-minded? How would you define it? Can you give an example of someone you know who you think is open-minded? Is there something that you do differently in your family (a tradition, for example) that you are really proud of? Anything that you feel uncomfortable sharing with others? “The Potter books in general are a prolonged argument for tolerance…,” said author J.K. Rowling. If you’ve read the Harry Potter books, how do you think they make an argument for tolerance? If you haven’t, talk about a book you’ve read or a movie you’ve seen that does make a successful argument for tolerance and acceptance of difference? In general, do you think we as a society are more or less tolerant toward one another than we used to be? Why or why not? Talk about a time when your adaptability or open-mindedness really helped you in a situation. “Don’t be in a hurry to condemn because he doesn’t do what you do or think as you think or as fast. There was a time when you didn’t know what you know today.” How might this quote by Malcolm X apply to your own life?